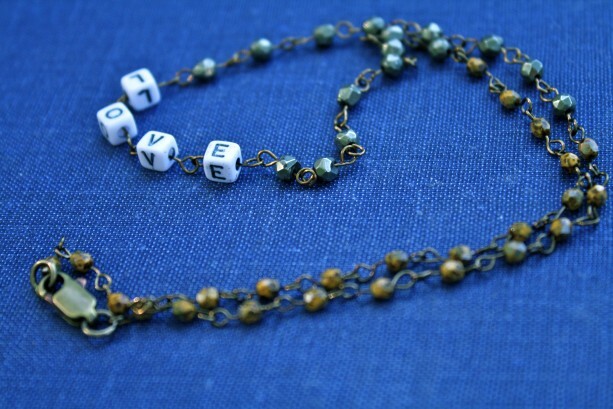 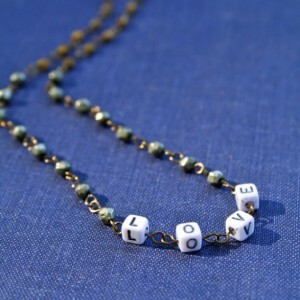 Letter beads spelling the word "love" are wire wrapped in brass wire. 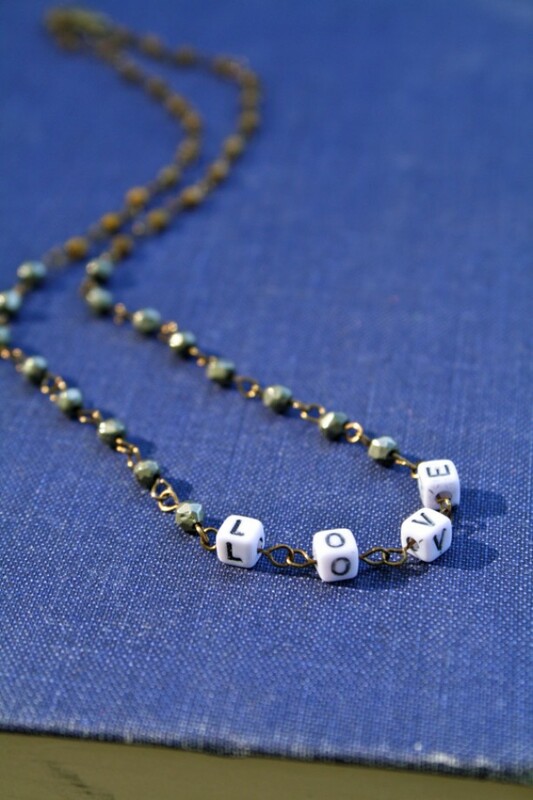 Measures approximately 16 inches. 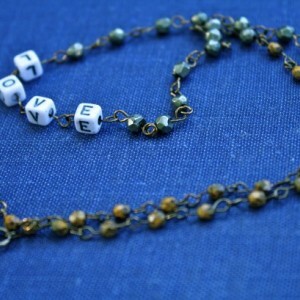 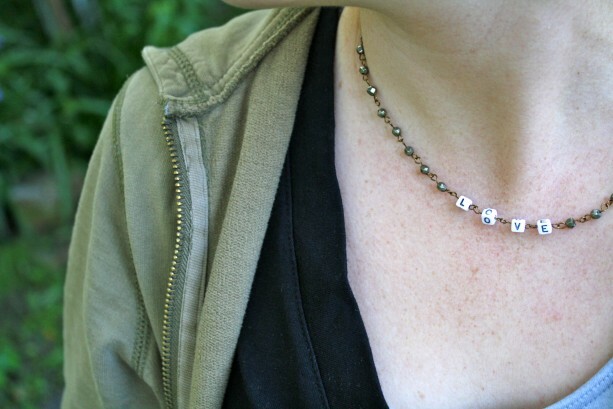 Closes with a lobster clasp.